Whether cutting, grinding or milling- what coulds is an optimum result. 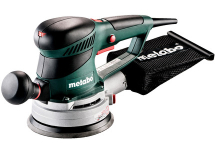 We at Metabo do not make any compromise and provide you with customised professional tools including matching accessories for any application. 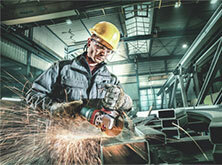 For demanding cutting and grinding applications in the metal trade and metal industry, professionals use our angle grinders, die grinders, sheet shears, nibblers, angle polishers and bench grinders or our special machines for processing stainless steel, since they know that they can always rely on their Metabo machine. 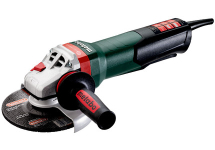 Metabo comes into play wherever angle grinders with the greatest possible safety and highest productivity for most demanding applications are used. Whilst our large angle grinders offer maximum performance and robustness, we set standards with our compact class thanks to ultimate productivity, perfect ergonomics and unbeatable system power. 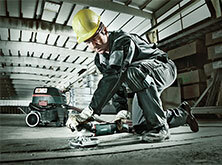 These characteristics make our angle grinders the essential element for cutting and grinding. 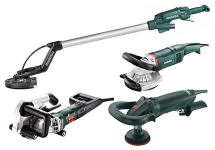 With our angle grinders and special solutions like our complete machine range for processing stainless steel or the world's first flat-head angle grinder for working in narrow angles, we offer you the right solution for every challenge. 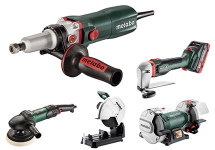 Our Metabo solutions focus on highest precision and comfortable handling so that you can work productively when it comes to grinding and milling and achieve perfect results. 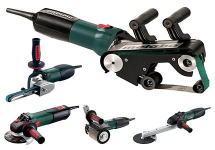 We offer you the optimal system solution for every requirement with our random orbital, band and triangular base sanders, our sanders, planers and routers, paint removers and wall chasers.